Thanksgiving dinner is done and dusted, we’re almost on to December. We have an in-depth video with Dave Turner founder of Turner bikes, rest day training tips and a bike heist in Italy. Welcome to the November, 28th Mid-Week Report. 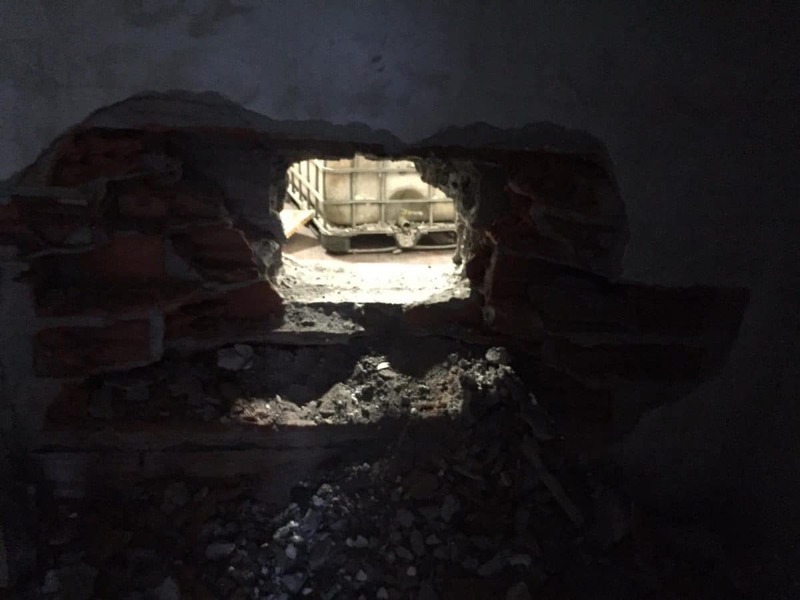 “This morning, November 26th at 6.00am, around 6-8 masked people entered our factory building and stole all our display & demo bikes. If you have any information that might help us to catch the thieves and recover our bikes, please let us know! After that they moved quickly to break the warehouse door, cut the fence surrounding our office and move more than 20 bikes into their van. The police arrived within 10 minutes, but they already had left. I’m certainly a fan of getting out there and trying to get a workout started, especially since you can often get through a whole workout as long as you can get through the first 10-15 minutes. I would like to add a caveat to the discussion of “wimping out”, however. “Wimping out” is sometimes the smartest thing you can do. There are times I wish the athletes I work with would listen more closely to their bodies and call it a day when they’re not responding to their workouts. Here are a few good ways to tell if turning around is the right thing to do. Your heart rate or pace doesn’t match your perceived exertion. Though perceived exertion is often dismissed as being “unscientific”, it has been found to be among the most accurate ways to evaluate your effort. 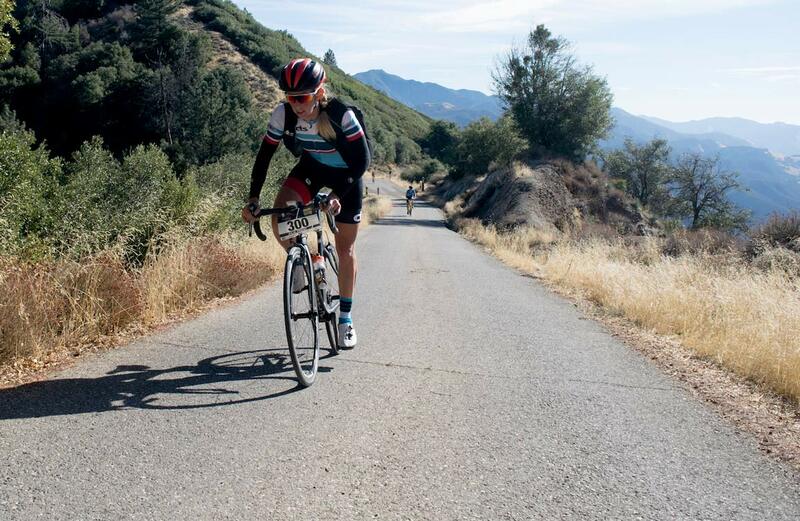 You know how you normally feel when you’re riding at a certain pace or intensity. If it takes a superhuman effort to reach your normal cruising level, or to the level necessary for intervals, it’s a sign that something’s not right. Usually, it means you’re fatigued and that you’re better off doing a recovery ride or taking the day off. Sometimes this scenario will even continue for a few days, but generally it won’t last more than a week. Listen to your body and give it the time it needs. You feel like taking a nap by the side of the road or trail. Most days, you’re raring to go when you head out for a workout, but then there are days when you just can’t seem to get excited about training; you’re yawning and daydreaming instead of focusing on your workout. On days like these, it’s important to get out there and see what happens after about 15 minutes. If you snap out of your funk and get your head in the game, then continue with the workout. If you can’t get your head into it, turn around and go home. I’d rather see you miss that one workout and come back excited the next day instead of absentmindedly going through the motions for several workouts in a row. And since this is the Holiday Season, there’s one other piece of advice (it’s not completely pertinent to the original question, but it’s useful anyway): a shortened workout is better than no workout at all. So, if a holiday party or poor winter weather cuts your available time down to just 30 minutes. Take it! It helps you stay in a consistent training routine and ensures that you’re not slipping backwards in your fitness progression. Shortened workouts may not move you forward as much as complete ones do, but they’ll help you keep the fitness you’ve worked so hard to build. The Iceman’s Challenge Gravel Road Race and Adventure Pursuit is a fun, laid back gravel adventure event held at the historic Talbert Ranch in China Spring, Texas. 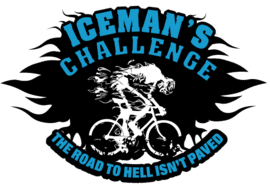 The Iceman’s Challenge is a race and adventure ride organized to give gravel riders an opportunity to ride of some of the remote and most beautiful country roads in McLennan and Bosque Counties. This year we offer an 86 Mile Ultra Gravel Road Race and Adventure Pursuit Ride courses of 68, 54, and 36 miles. The event takes place on Saturday, December 1, 2018, near Waco, Texas. With all courses located in McLennan and Bosque Counties. The Iceman’s Challenge offers routes along beautiful gravel roads, some shaded by trees and on sunlit country roads taking you through farm and ranch lands meandering by rivers and crossing creeks, and streams. The four courses offered will feature roads with varying surface conditions. From compacted gravel, small cinder-like sand, smooth dirt, rocky to smooth water crossings, rutted wash outs, chip seal and smooth asphalt pavement. The 86 mile and 68 mile courses will again offer the awesome Angel’s Lair. It feature four challenging climbs and descents with some of the most spectacular views from the highest elevations on the course. Course routes average between 90-75% gravel roads with 20-25% paved roads. 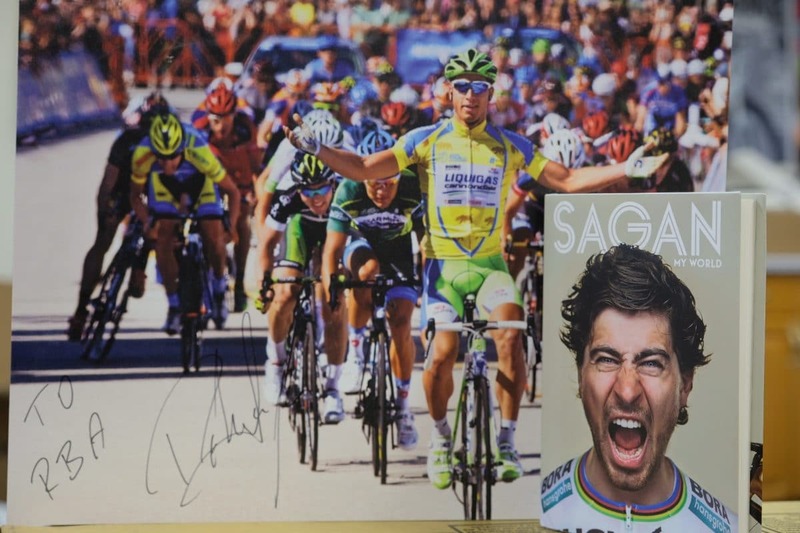 Get ready for the annual Heart of LA Route on Sunday, December 2nd. 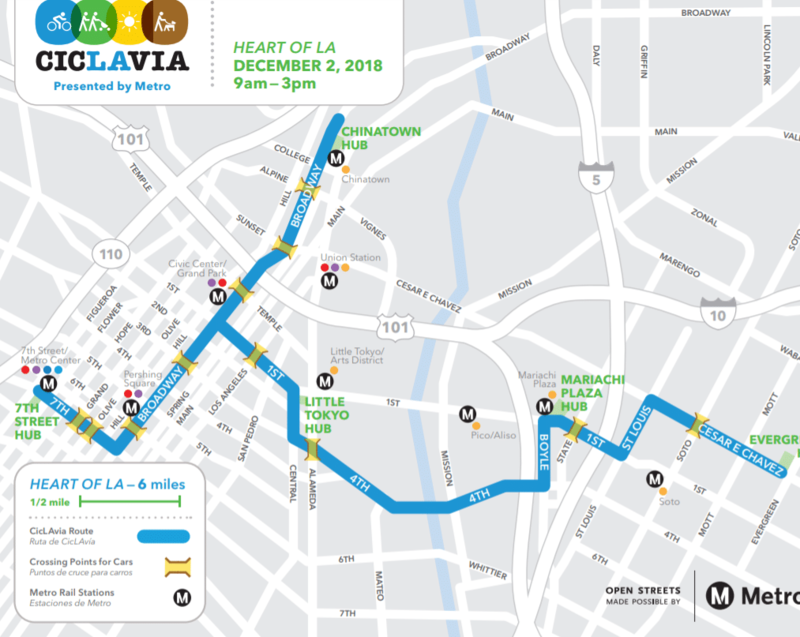 CicLAvia returns to Chinatown, DTLA, and Boyle Heights! Streets will be closed to cars and open for cyclists, pedestrians, runners and skaters to use as a recreational space. “Looking for a reason to get off the couch this winter and find a wicked fun adventure? Maybe racing Cyclocross isn’t your thing but you’d love to get outside and explore some new roads! We have a 40mi ride option (all pavement), and a 75mi ride option (mixed gravel/pavement).